On the recent March 20 draw, the Government of Canada invited 3,350 Express Entry candidates to apply for Permanent Residence. The cut-off CRS score (Comprehensive Ranking System) in this latest draw was 452, a drop of two points as compared to the minimum score in the previous March 6 Express Entry draw. Adding the invitations of the March 21 draw, the IRCC (Immigration, Refugees, and Citizenship Canada) has now issued a total 21,200 ITAs (Invitations to Apply) through Express Entry System in the current year. This marked an increase of 6,700 invitations over total 14,500 invitations that Canada had issued in the previous year at this same point. 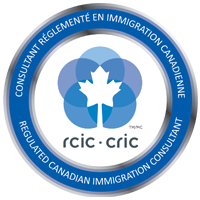 In the previous year, IRCC had created a record by issuing 89,800 invitations to the Express Entry candidates. With the number of ITAs issued in 2019 surpassed the number of ITAs issued in the previous year at this same point, we are expecting that IRCC might set a new ITA record this year. Canada’s higher targets for 2019 and 2020 admissions for the three Federal High Skilled economic immigration categories (Federal Skilled Worker Class, Federal Skilled Trades Class, and Canadian Experience Class) that are managed by Express Entry system also supports the expectations of a new ITA record in 2019. If you havereceived an invitation, please feel free to consult us for further details.